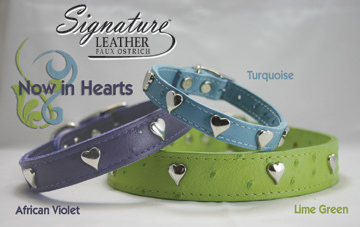 Signature Leather Faux Ostrich Collars, Now Available in Hearts! 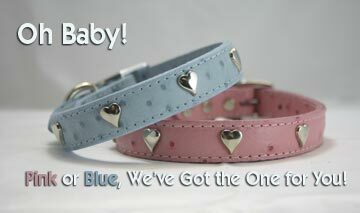 these collars come in 5 vibrant colors - African Violet, Baby Blue, Lime Green, Pink & Turquoise. 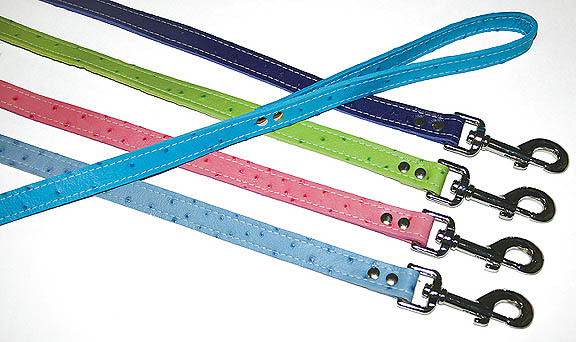 Faux Ostrich leads to match the collars shown above.